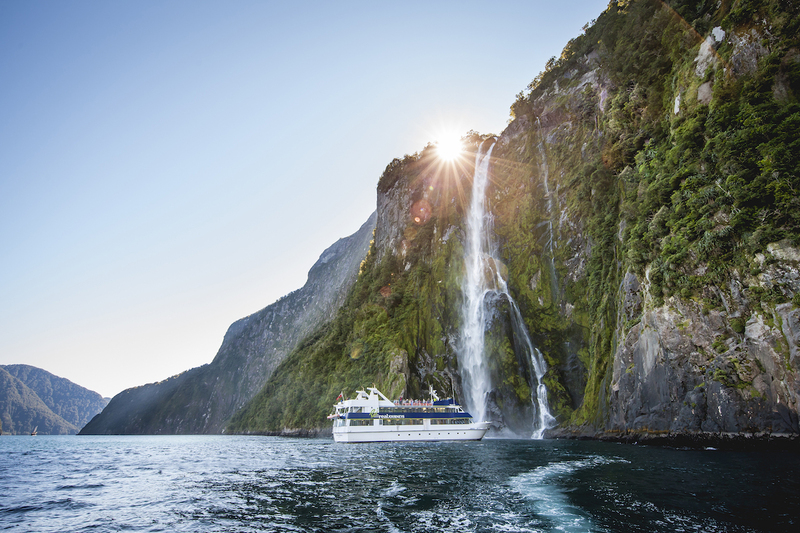 Experience the best of New Zealand on an escorted tour with a mix of land and sea exploration. 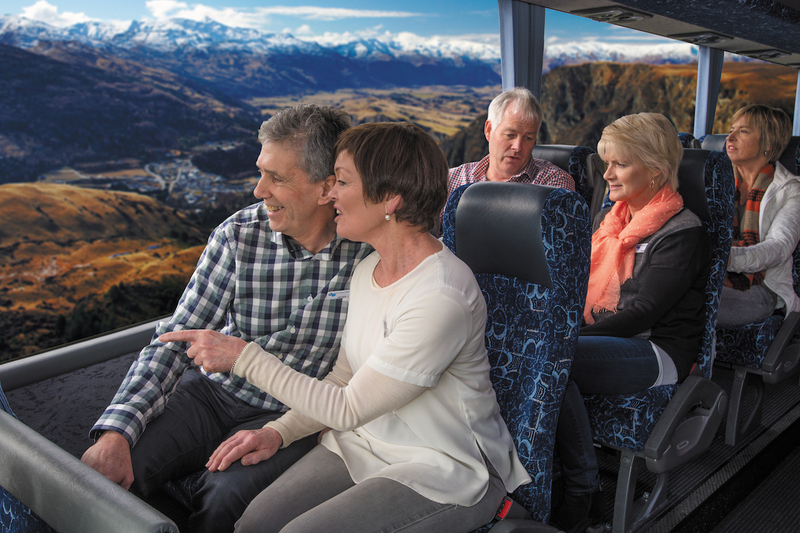 As well as luxury coach transport throughout, you’ll enjoy epic rail journeys and an overnight cruise giving you the chance to see the beauty of New Zealand from every angle. 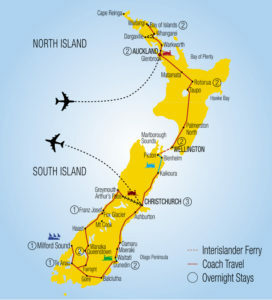 The Bay of Islands, Franz Joseph and Milford Sound are among the highlights. Kauri Museum* Waitangi Treaty Grounds* Dolphin / Hole in the Rock Cruise Glenbrook Vintage Railway Paradise Valley Springs* Skyline Rotorua Gondola & Luge Ride Agrodome Thermal mud pools & geysers* Te Puia traditional Maori Hangi & Concert Te Papa, NZ’s National Museum Cruise on the Interislander Ferry Coastal Paci c Rail Journey International Antarctic Centre Christchurch Tram TranzAlpine Rail Journey Cruise Lake Wakatipu on the TSS Earnslaw Lakes District Museum HIGHLIGHT Milford Sound Overnight Cruise Cruise Lake Te Anau, visit Glow Worm Caves Silver Fern Seasider Rail Journey Haggis Ceremony & Gift Larnach Castle* Olveston Historic Home* City sights tour of Auckland, Wellington, Christchurch & Dunedin *Guided tour is included with 1 guide per 24 travellers. 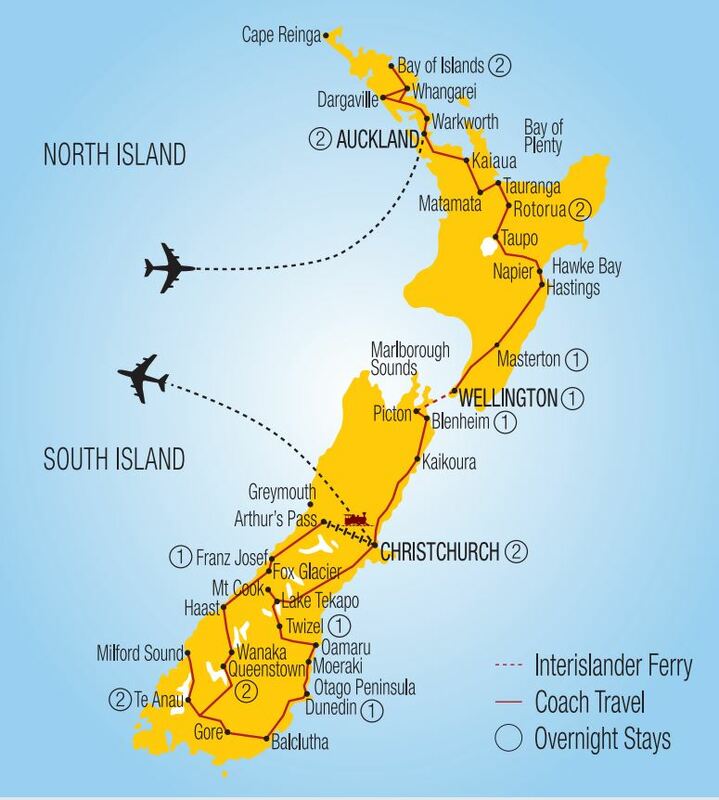 On arrival into Auckland you will be met by a Grand Paci c Tours representative and transferred to your hotel. Today visit the International Antarctic Centre, designed to provide an informative account of life in Antarctica. This is followed by an introductory city tour of Christchurch. 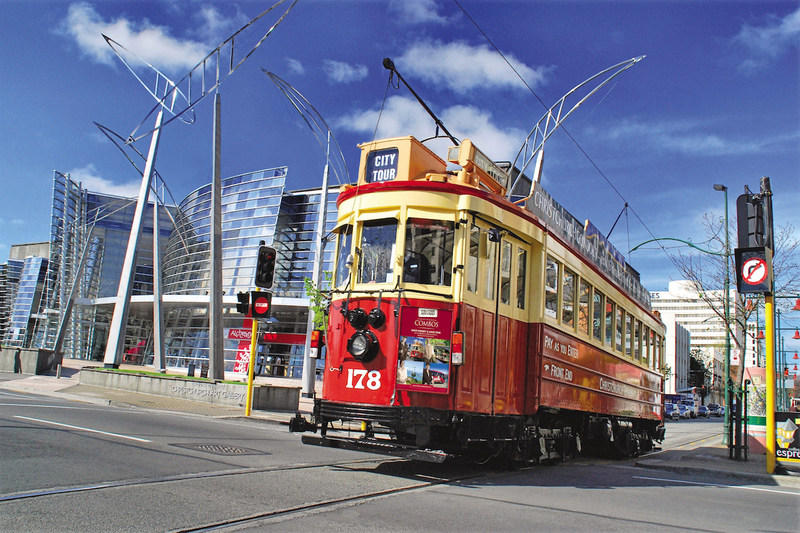 This afternoon includes a journey on board the Christchurch Tram at your leisure, one of Christchurch’s leading attractions. This evening is free to explore the local cuisine. This morning travel along the Otago Peninsula to Larnach Castle where you hear of the tragic and scandalous history on a guided tour. Enjoy time to wander around this Garden of International Signi cance followed by a delicious Devonshire Tea. Return to the city for some free time. 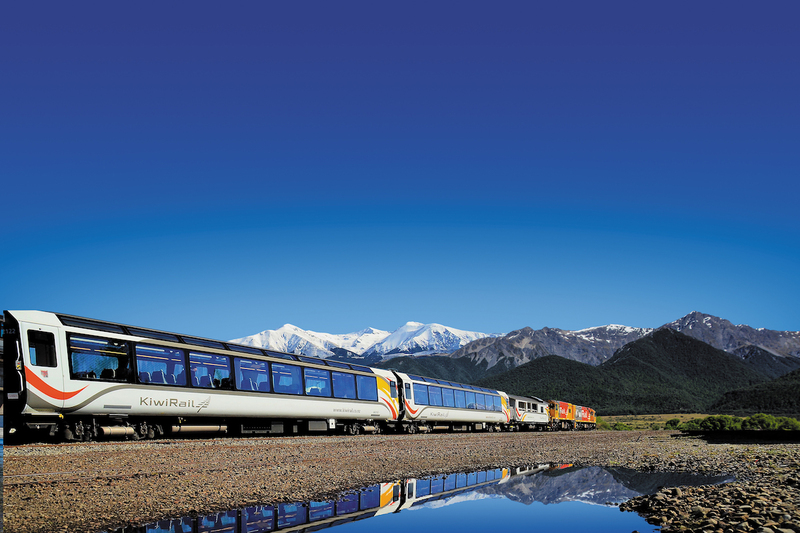 You might choose to board The Taieri Gorge Limited for a journey through spectacular scenery only accessible by rail (optional). Time to say goodbye. You will be transferred to the airport for your ight home after a memorable New Zealand holiday. 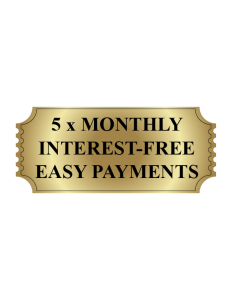 Why is this tour good for MyDiscoveries Customers? 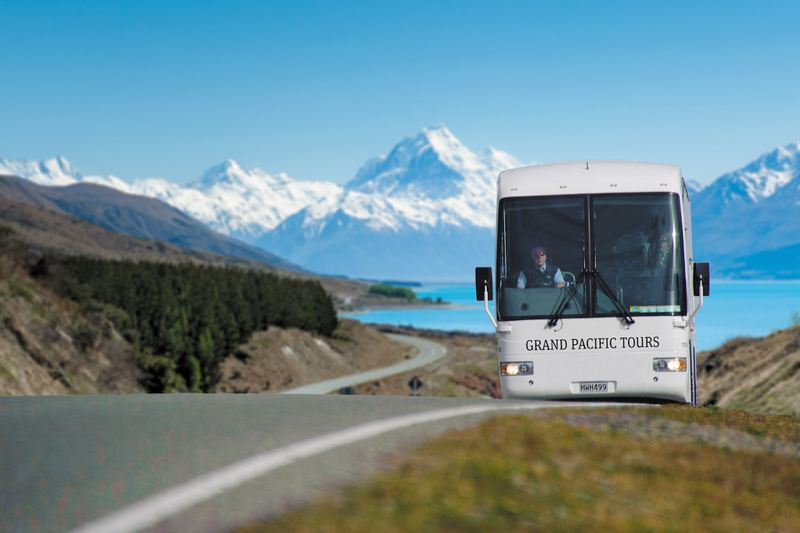 Touring New Zealand with Grand Pacific Tours meaning touring with the New Zealand experts. They offer five comprehensive styles of coach touring to suit all budgets and interests. By specialising in one destination they are able to get exclusive benefits such as discounts, wine time specials and hotel porterage for customers. Grand Pacific Tours only offers fully all-inclusive tours meaning your flights, accommodation, most attractions and select meals are included. Forget self-driving holidays as your Tour Guide & Coach Caption ensures you are well taken care of and coach touring allows you to meet like-minded travellers. 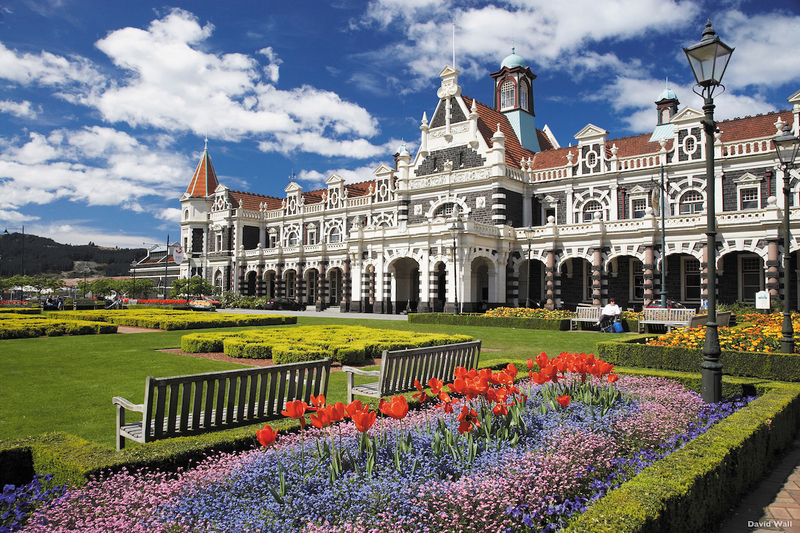 You can enjoy this 19-day journey takes you to all corners of New Zealand on Rail, Coach and Cruise. Travel New Zealand on one of Grand Pacific tours Signature range, which offers best overall value for money based on what is included. Signature tours utilised 4-star rating hotels and all properties are centrally located, offer high-quality service and facilities. This tour travels at a steady pace meaning you can relax in armchair comfort on a modern coach as you visit all the iconic attractions plus enjoy an array of distinctive experiences. Weather Weather in New Zealand can change unexpectedly. The north island has subtropical weather during summer, and inland areas of the South Island can be as cold as -10°C in winter, As most of the major cities are close to the coastline they remain quite warm. The average temperature decreases as you travel south. January and February are the warmest months, and July is the coldest month of the year. When will I receive my tour documentation? Grand Pacific Tours documentations including any merchandise will be forwarded to MyDiscoveries two weeks prior to departure. We will then forward all information via post to you. Can I make dietary requirements requests? Room and dietary requests are limited and cannot be guaranteed. Dietary requests are limited to Vegetarian, Gluten Free, Lactose Intolerant & Diabetic. 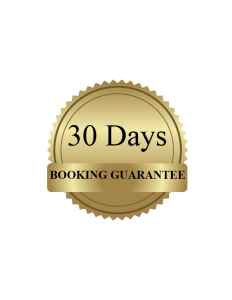 They need listed on booking form at time of booking to ensure that these requirements are accommodated. Religious dietary requests (i.e. Hindu Vegetarian, Kosher, Halal) cannot be accommodated. Any further intolerances needing to be managed are the responsibility of the traveller. Will I need to manage my own bags? Grand Pacific tours Coach Caption get all luggage on and off the coach.